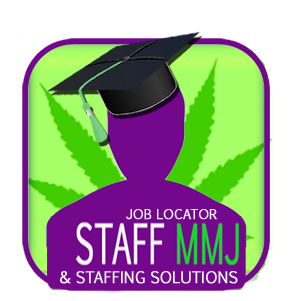 The budtender school search doesn’t have to begin and end with the name brand schools. There are many cannabis colleges and training programs out there — some you might have seen or heard about in the news, all worthy of your attention. Here’s some advice to help you choose the best budtender school for you. Before you start your search for the top budtender school, you must first ask yourself a few questions. Why are you going to budtender school? If your goal is to network and meet with other students like you, then cannabis workshops might be right for you. Meet up with others who are just starting out, while building a network of friends. If your desire is to become a certified budtender, there are many programs available to you- but not all certification programs are created equal. Some cannabis colleges offer bird courses, allowing the student to achieve certification simply by attending a seminar inside a dispensary. We received an interesting story from a former student of one of those types of schools, which I will share with you now. The jilted student went on to tell me she was given a certificate from the budtender school, certifying her in budtending. Some of her classmates were pleased with their experience- but Lizette was worried because she still didn’t know anything about budtending. A good budtender school will offer you the knowledge, skills, and confidence to prepare you for a career in budtending. If you want to be taken seriously as a professional, make sure your budtender school offers achievement certifications. An achievement certification is an acknowledgement from the educational intuition that the student has passed satisfactory levels of course completion through successful passing of established protocols. Like any college, cannabis college is a time to explore, and a smaller community is more conducive to internal exploration. It is not the amount of students or teachers, but the people themselves and the kind of experience in which you will learn that really matters. Some budtender schools even offer a virtual experience- this allows the student to complete the program on their own time. This is a great choice for people who are currently employed, or have children or other home responsibilities. Virtual learning schools gives a student the chance to learn at his or her own pace, from the comfort of their own computer. 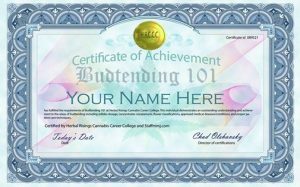 Learn more about this type of budtender certification course, or enroll now at Herbal Risings Online Cannabis Career College.